From August 5-21, chef Brian Poe will be going for the gold when he dishes out a Brazilian-inspired culinary and cocktail special in honor of the 2016 Summer Olympics. With this year’s games hosted in Rio de Janeiro, chef Poe will be bringing the vibrant flavors of his wife’s native country to his Cambridge eatery and bar, Bukowski Tavern, while screening the events daily on Buks’ dueling HDTVs. 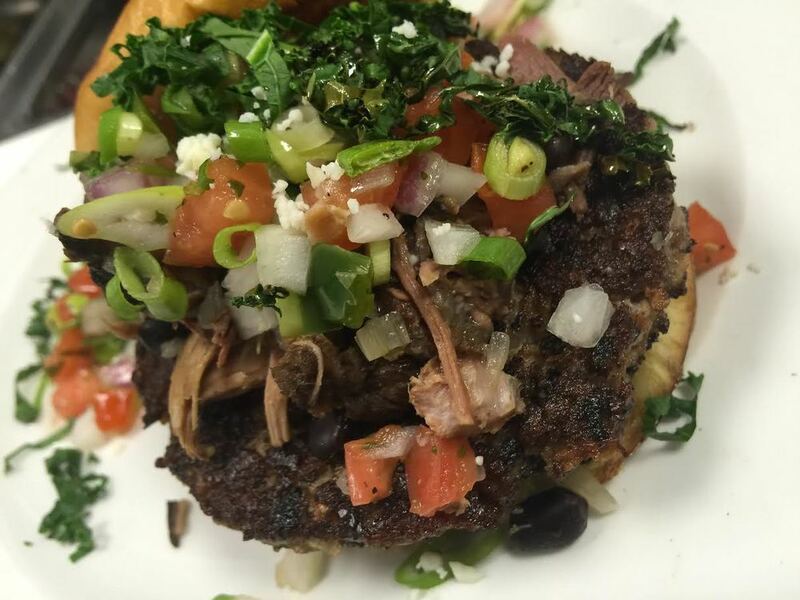 To snack, there is the Feijoada Burger that sees a ground bacon and pork patty topped with a traditional Brazilian stew of black beans, pork, andouille sausage and braised Russian kale ($14). The Russian kale is added “for sport,” according to Poe, as a playful competitive jab to the possible banning of the country’s participation. To sip, there is the Mango Caipirinha with Avuá Prata Cachaça and lavender simple syrup ($14). The spirit used in the cocktail comes from the mountains of Rio which is rested in stainless steel casks before being hand bottled.